We have grown Red Volunteer for many years and it has always been a favorite. So much of a favorite that we were happy to keep it all for ourselves and really never made much of an effort to offer it for sale. All of our clumps have grown to massive proportions and the decision has been made to divide them, with the result that there are just too many divisions and not enough space to keep them all. 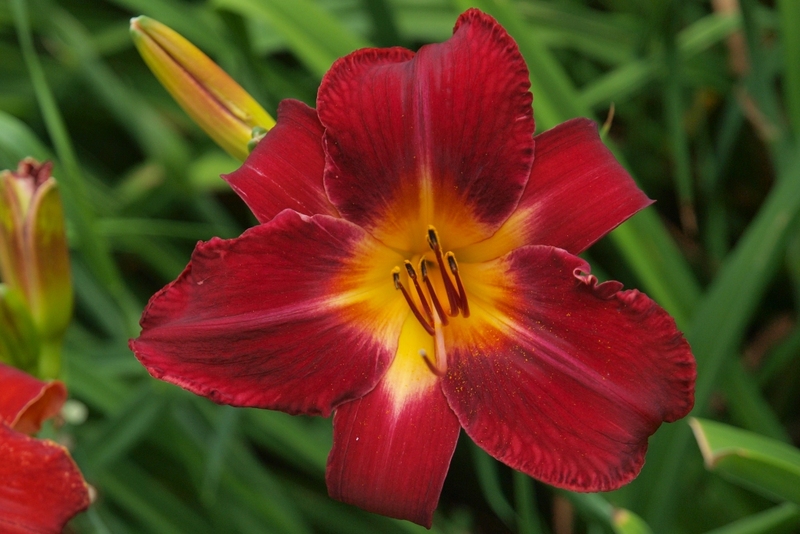 Introduced by William Oakes of Tennessee in 1984, he describe RV as "Clear candle red with a golden yellow throat". Somehow that just doesn't say enough. RV received the coveted Award of Merit in 1994 for good reason. The tall 30" bloom scapes are well branched, strong and upright with prolific bloom for many weeks in July and August. The foliage is excellent, both before and past the bloom season. 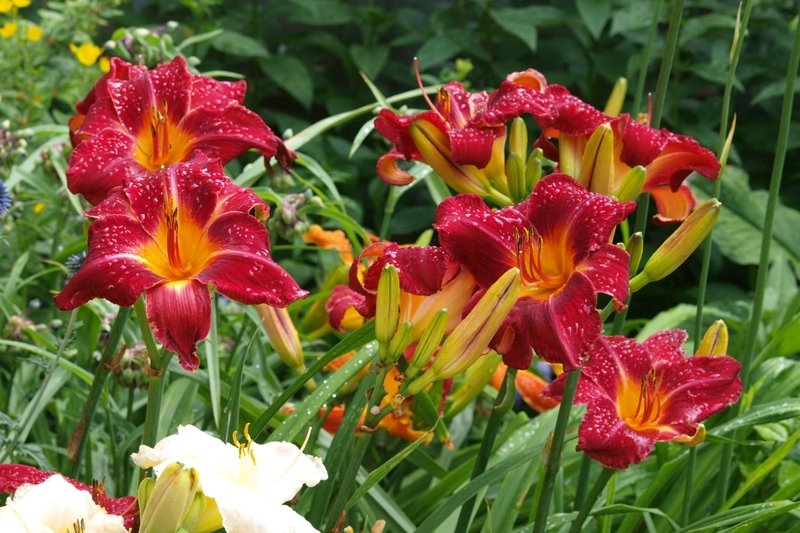 The red is definitely clear unlike so many other red daylilies that tend toward the orange. Lightly veined and slightly ruffled these are big attractive blooms. A mature clump with masses of bloom is one of the most breathtaking sights in the garden.